In this technological era, digitalization and consumer engagement are on a rise. With the rise in the number of smartphone users, the digitalization has seen a revolution. This digitalization has enabled the consumers to enjoy their day-to-day services from anywhere and at any point of time, just by few clicks. These services can range from ordering a fresh meal delivered at home, booking a cab, hiring a technician, cleaning the apartment, to getting beauty massage at home, ordering medicines, etc. With the rising concept of digital marketing, there is a rise in on-demand services globally. The market is changing according to the change in consumer’s perspective. There are various cues which are helping the consumers to change their perception and adapt online services, thereby creating a beneficial market from 2019 onwards. One of the major cues is the on-demand apps provided by various companies. With these on-demand apps, the consumers can avail the services of the companies, from any part of the world. Thus, the global market is witnessing a hike in on-demand services. With the feature of easy accessibility of the services, there is a rise in the need of on-demand apps. 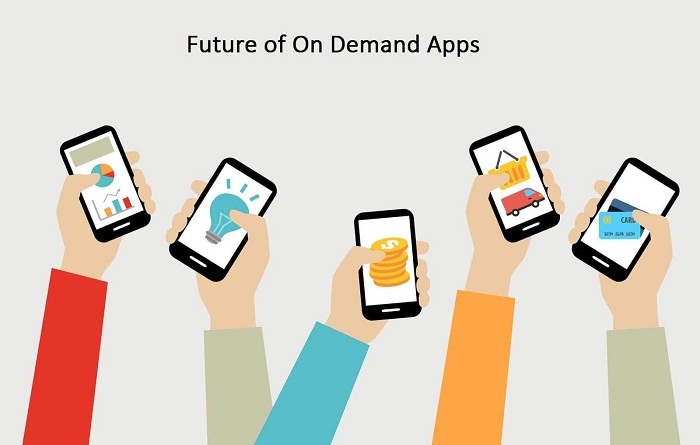 In fact, the on-demand apps are that part of the trend which is highly irreplaceable. These apps have changed the market scenario providing a lot of benefit to the existing companies, including start-ups. Today is an era of clicks. Most of the people, especially the younger generation, prefer online services to brick-and-mortar services. This is because the individual can demand to avail the services online and get those services in offline mode. This is because of the on-demand apps. On-demand apps have made the life of the consumers convenient. They need not run from one place to another in order to fulfil their needs. Everything is available online with a comparison among variety of options at one click. Through on-demand apps, it has become easy for the companies to make their presence among consumers. 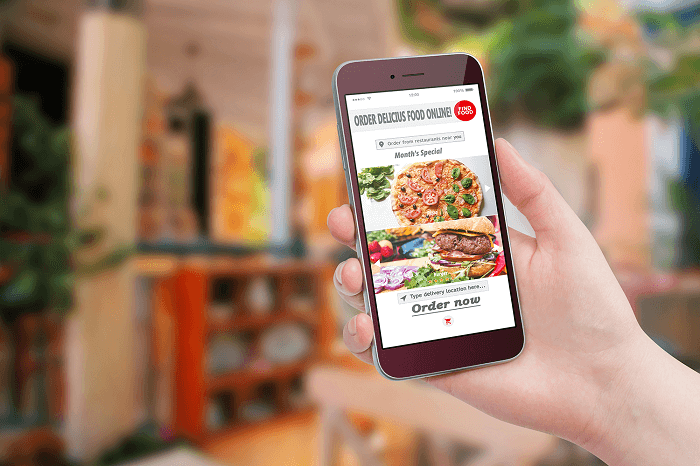 There are various which use push notifications and emails to remain connected with the consumers. These methods can help the companies to create and develop brand awareness, which further enables to enhance their growth globally. Technavio analysis has predicted that the need for on-demand apps globally is likely to rise to around 52% during 2019-2022. This analysis has been made on the upcoming drivers of the market services which include consumer convenience and the easy accessibility of the on-demand services. The basic market challenge that companies may face includes the existence of highly unorganized retailing. On-demand services include pest control, apartment cleaning, laundry services, repairing of appliances, beauty, fitness, painting, electrician, plumbing, carpentry, and alike. With the on-demand apps, the services can be availed by the consumers conveniently. The consumers can choose the services they need quickly. The on-demand apps have helped to provide the services offered by the companies easily. Thus, the services are available easily. With the on-demand apps, the consumers can be sure that the services will be provided to them on time. The punctuality of the services offered helps to gain a competitive advantage for the company. Because of the comparison of the same service among the variety of companies, the consumers can check the best services at an efficient cost. Today when everything is going digital from manual, the procedure of maintaining records and other data is also changing. Instead of paper files, every record is stored via digitizing process. The on-demand apps have contributed to this process a lot, thereby increasing the profit of the business. Thus, with the help of on-demand apps, the business process is getting automated at a rapid rate. With the rise in the use of smartphones, the need for an increase in accessing the services in real-time has also increased. The on-demand apps are providing services to the consumers at a rapid rate and that too, in real-time basis. Today, the consumers can track the status of their services on a real-time basis. For instance, when one books a cab, he/she can track the location of the cab on a real-time basis and thus, guide the cab driver if the driver goes on wrong path. The on-demand apps have helped in managing the inventory adequately. Because all the records are saved online, there are lesser chances of mistakes. 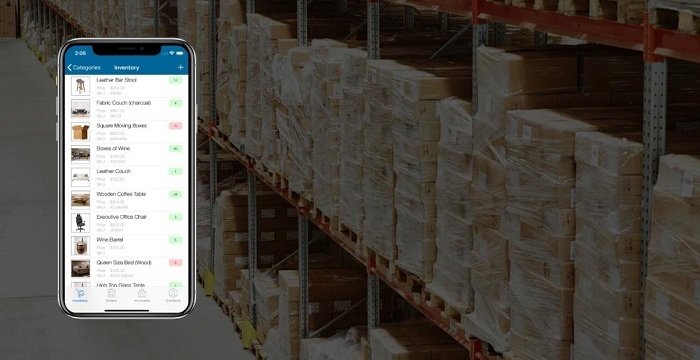 With the help of digitalization, inventory can be maintained properly and efficiently. This is because the company can easily keep a record of the products which have been sold out, raw materials, and even work-in-progress. The same goes for the services as well. The on-demand apps have helped to create a transparent relation between the companies and the consumers. This transparency is because of the real-time feature, and push notifications by the on-demand apps. The consumers can be sure of the best services available from the best companies in the market and that too, at an affordable price. There are various on-demand apps which enable the consumers to create a comparison among the services provided by different companies. Today, to win the trust of consumer majority app development companies delivers the custom E-wallet solutions with foolproof security by conducting various security tests. The registration process helps the consumers to create username and password of their choice has enabled the consumers to feel secured. Though the username can be seen by everyone, the password is kept secret to the consumer. Thus, no one can misuse the information given by the consumer. There are various other features which add to it including the permission of accessing the location and media of the consumer. The on-demand apps have made it convenient for the consumers (end-users) to avail the services from anywhere and at any point of time. The convenience has helped to make the life of the people easier because they don’t need to move out of their home. They can access the services on a few clicks. Because of the on-demand apps, the companies have been able to create a good customer base for them. These companies have found it easier to attract more customers towards them by providing user-friendly platform and easy-to-use feature to them. Also, these on-demand apps have helped the companies to grow and retain the customers for a longer period of time. With the help of on-demand apps, the on-demand services are getting a hike. These on-demand apps help the consumers to enjoy various services quickly in relatively less time from any part of the world. The consumers can be sure to get the best services delivered to them by checking the ratings and reviews provided by different consumers who have already availed those services. Concluding, the entrepreneurs need to invest on on-demand apps because of the digital revolution. 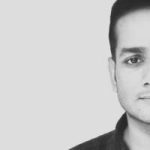 Varun Patel is the founder and corporate director of Coreway Solution, a leading ecommerce and mobile app development company provides top-notch solutions by utilizing cutting edge technology. His innovative and result-driven IT solution helps the entrepreneurs and organisations to achieve a progressive business objective.